Don’t miss the chance to see your favorite dance stars up close and personal in SWAY: A Dance Trilogy! This all-star production is set to premiere on Thursday, December 3rd, 2015 at The Olympia Theater at Gusman Center in downtown Miami, FL during Art Basel week. Starring Maksim and Valentin Chmerkovskiy, Tony Dovolani, Olympic gold medalist Meryl Davis, and special guests, SWAY presents the glamour and passion of ballroom and Latin dancing in a whole new way. The all-star cast will feature world-class celebrity dancers. Audiences can expect spectacular visuals, original choreography, a fusion of multiple dance styles, and incredible performances from Dance With Me professionals. This star-studded engagement of SWAY will feature five (5) stunning shows running from Thursday, December 3rd to Sunday, December 6th, a fundraising gala, golf tournament, and an educational dance camp — all to benefit One Week, One Cause, a weeklong fundraising effort to support Alfalit International’s work to end illiteracy around the world. SWAY offers a glimpse into the lives of Maksim, Tony, and Val off-screen, which comes to life onstage. SWAY is divided into three parts, each anchored by one of the stars of the show. SWAY whisks audiences through the timeless elegance of ballroom’s golden era, to modern dance fusion of today’s urban youth, climaxing with the heart pounding rhythms of the Latin night-club scene. The show also features innovative choreography from two of ballrooms’ emerging standout artists: Joao Tiago Fernandes and David Thomas Moore. The mesmerizing visuals, which allow for an interactive audience experience, are guaranteed to delight theatergoers. Dance With Me is excited to take live theatrical ballroom dancing to a brand new level. 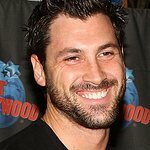 VIP ticket holders will get a chance to meet the stars at the exclusive pre-show meet and greet, and also attend Saturday night’s official after-party hosted by Maks, Tony, and Val. Tickets are now available to purchase online! To purchase tickets please visit www.swayshow.com. Alfalit’s inaugural golf tournament will be held on Saturday, Dec. 5 at Turnberry Isle Miami, an award-winning golf resort that has hosted the PGA and the LPGA on its two championship courses. Alfalit supporters will have the chance to play golf with SWAY stars Maksim Chmerkovskiy, Valentin Chmerkovskiy, Tony Dovolani and Henry Byalikov. The tournament schedule will include breakfast, 18 holes of golf and an awards luncheon. For sponsorship inquiries, please contact Todd Talbott, Director of Communications at 323-804-0521 or email at tbtalbott2009@aol.com. Founded in 1961, Alfalit International, Inc. is a non-profit organization that provides literacy, basic education, pre-school, community development, health, disease (HIV/AIDS, Cholera, Malaria and TB) prevention, nutrition and job skills and vocational training programs. Alfalit currently serves 120,000 men, women and children in 24 countries throughout Latin America, the Caribbean, Africa, Europe and the United States. The organization has been recognized at both the 2006 and 2007 White House Conferences on Global Literacy, and received honors as well as the First Price in Adult Literacy Programs from UNESCO. For more information, please visit www.alfalit.org.